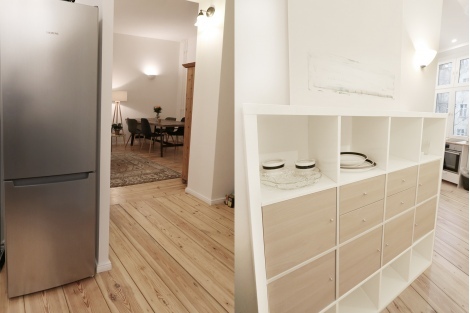 The apartment has been newly refurbished by an artist with an eye to detail. 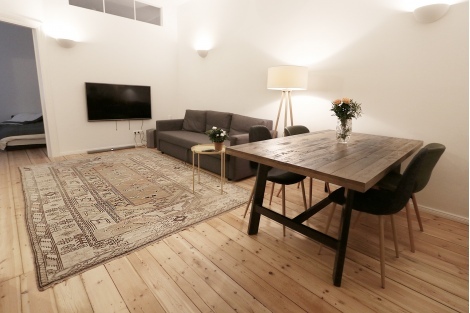 The apartment's pristine wooden floors are enhanced by its high ceilings and is facing a quiet courtyard. 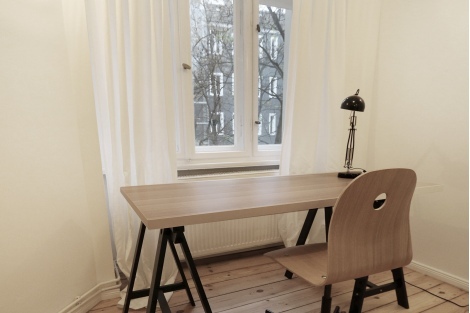 The bedroom features a king size bed (1,80mx2,00m) facing the quiet courtyard for a peaceful sleep as well as a working desk. 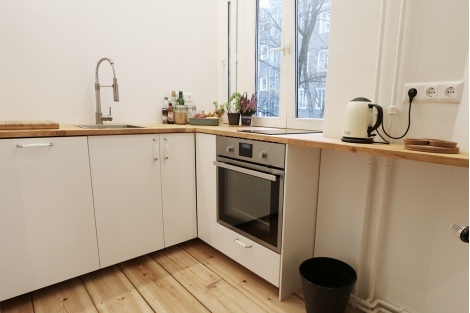 The small kitchen is fully equipped including a large fridge. 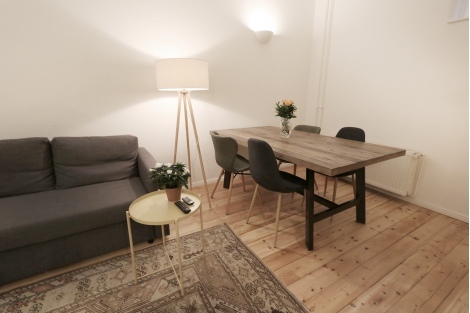 The large wooden dining table invites for dinner evenings. 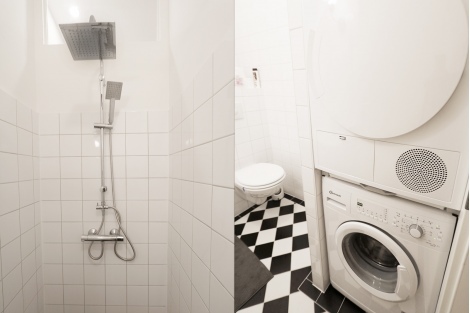 The bathroom has a rain shower, washing machine and a dryer. 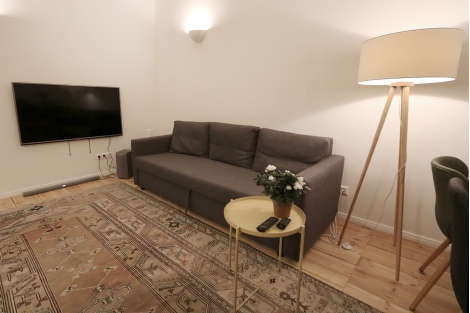 The warmly decorated apartment gives you the feeling of being home. 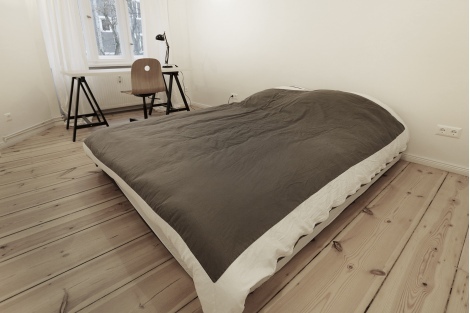 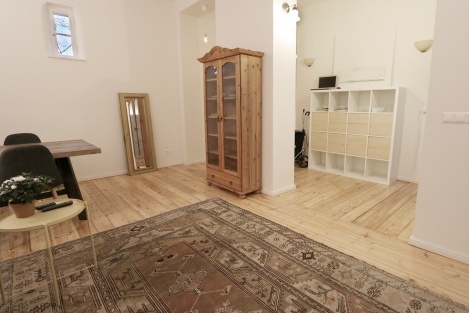 The apartment is located in Friedrichshain near Boxhagenerplatz and perfect for people who want to live in the center of the pulsating metropolis of Berlin, but on the other hand they also place great value on comfort with in a green and quiet area in the middle of the city.